When Andy Frasco And The U.N. take the stage, the party starts. The blues rock bandleader orchestrates a nightly high-octane experience that doubles as a celebration of life and music, regularly breaking down the barriers between stage and audience so that everybody can join in, all energised by a powerfully entertaining multi-cultural soundtrack that will shake the foundations of all nearby structures. The product of this shifting perspective is the group’s third full-length album: the aptly-titled 'Change Of Pace', which is released on February 22nd. Retreating from the real world, it was while ensconced in a rural studio in the mountains of Northern California songs began to emerge that reflected his pensive state of mind. Collectively, they’re still fired by that giddy propulsion you’d expect from Frasco and co., but it’s the overarching poignancy of the album that resonates most - the titles alone are revealing: ‘Don’t Let It Fool Ya’, ‘Let Your Mind Be Free’, ‘Find A Way’, and ‘Don’t Let The Haters Get You Down’ offering some insight into the author’s ruminating. The album was preceded by a single - its title track was exclusively aired on Frasco’s fun podcast, Andy Frasco’s World Saving Podcast - which neatly summarises the supportive and constructive motifs that permeate the record. ‘Change Of Pace’ is released on February 22nd via Republic Of Music. 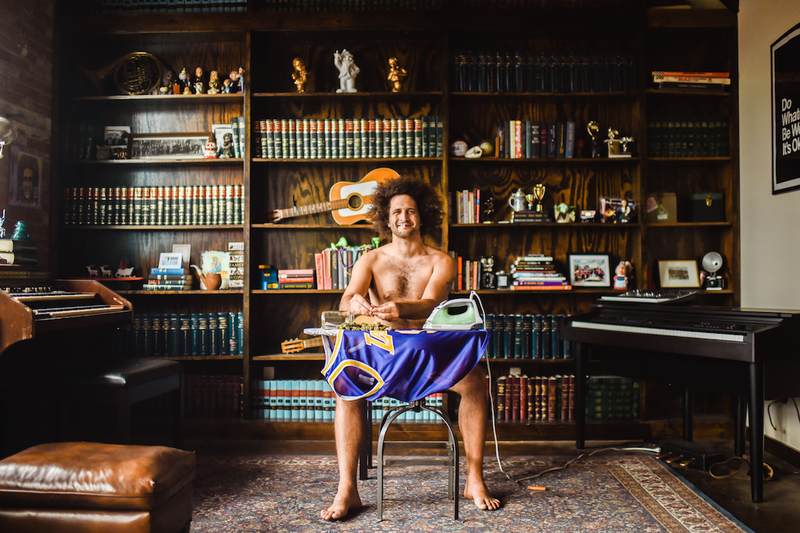 Andy Frasco And The U.N. tour North America throughout the first half of 2019. For a full list of dates, see here.